Where can we find true happiness? In the modern world, we are surrounded by unparalleled levels of material wealth and comfort, yet our sophisticated exterior often masks feelings of dissatisfaction, anxiety, and depression. Ironically, it often seems that the more “progress” we see in the world around us, the less content we are with our lives. Meditation shows us that true happiness is found within. The feelings of contentment and wholeness that we often seek outside ourselves are actually part of our basic nature. Unfortunately, we have become so habituated to looking outside of ourselves for happiness that we often do not know how to discover this “inner wealth.” Though we all have the potential to find a deep and lasting happiness that does not depend on external circumstances, simply hearing that we already have what we need to be happy is not enough; we need practical methods to uncover our true nature, practices that will enable us to move beyond the cultural conditioning that perpetually tells us that we are incomplete. The practice of meditation awakens us to the joy of the present moment. By cultivating attention and awareness, even challenging situations like chronic pain, destructive thought patterns, and difficult emotions can be transformed into sources of inner peace and joy. This inner transformation does not require us to retreat from the world. On the contrary, daily life is filled with endless opportunities to use the practice of mindfulness to find the preciousness of every moment. Meditation is not meant to remove us from the world, but to open our hearts and minds to the beauty of what we already have. For centuries, various forms of meditation have been taught and practiced in virtually all of the world’s religions. 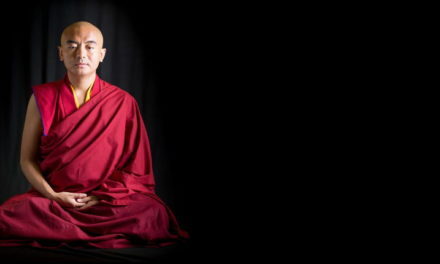 While there are important differences between the techniques found in each tradition, they share the belief that true happiness cannot be found in the shifting conditions of the external world, but rather by turning inward and exploring the landscape of the heart and mind. In recent years, meditation has also received a great deal of attention from the scientific community. Researchers from Harvard, MIT, the University of Wisconsin, and many other renowned institutions have explored the effects of meditation on everything from high blood pressure to peak states of consciousness. Their research has shown not only the profound effects that meditation can have on the brains of advanced meditators, but also how practicing meditation for only a few minutes a day can create a dramatic increase in the parts of the brain associated with happiness and wellbeing. Meditation has also been shown to boost the body’s immune system, to improve the brain’s capacity to concentrate for extended periods of time, and to be an effective treatment for many psychological disorders.